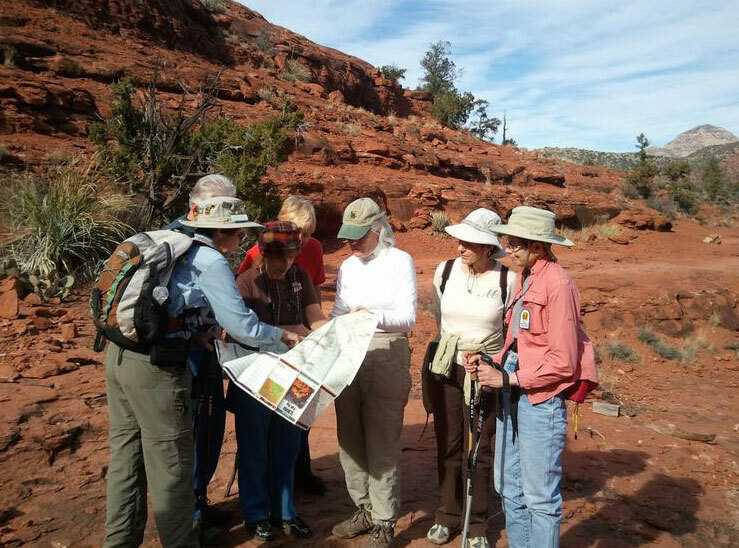 Members of the Trail Patrol Committee collect trail use information for the Forest Service. This includes counting the number of day hikers, mountain bikers, horseback riders; noting trail and signage issues requiring maintenance, and reporting graffiti. This information is recorded using the Friends of the Forest mobile phone app or using forms on our website. 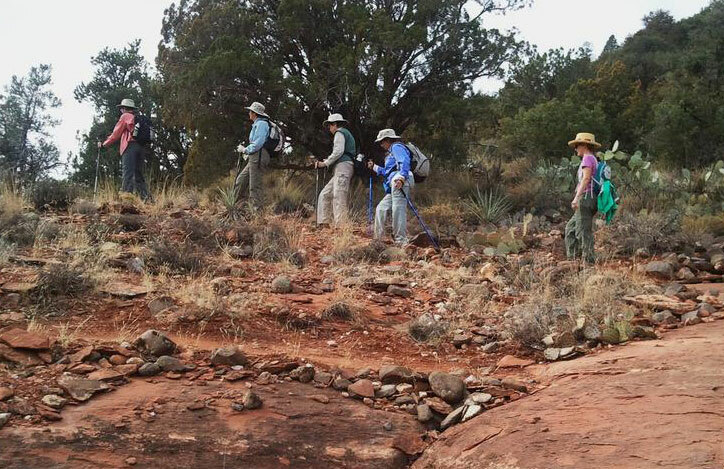 While hiking the trails, members act as goodwill ambassadors and provide information to visitors encountered along the trails. Additionally, members remove and pack out trash or articles left behind by visitors using the forest. Trail Patrollers are always prepared to assist with emergencies on the trails. Trail Patrol members do not engage in trail maintenance or graffiti removal while on a hike for Trail Patrol. Also, they are never involved in any kind of Law Enforcement – members only report incidents to the proper authorities.